Publisher Toge Productions and developer Rolling Glory Jam announced their story-driven comic platformer Rage in Peace will be released on Steam and in the Nintendo eShop on November 8th. Armed with memorization skills and quick wits, players embody the protagonist Timmy to battle death and fate so that he can die in peace. 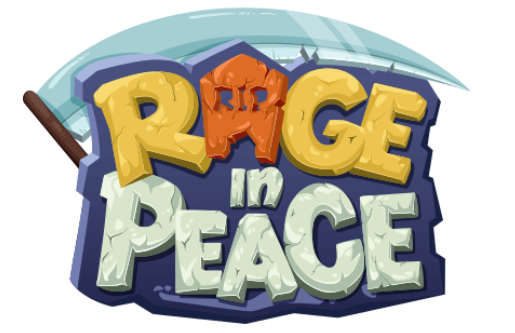 In Rage in Peace you’ll be playing as Timmy Malinu, an emotionally numb 27 year old actuary whose greatest desire is to die in the most peaceful way possible: asleep in his pajamas, in the comfort of his own home, with no drama. Of course this doesn’t happen and when the Grim Reaper shows up to inform him he’ll die that night, Timmy wants to make his dream true. Of course the universe isn’t kind and tries to spoil Timmy’s death. Your job is to help Timmy get home safely, so he can finally live the death of his dreams! Loosely inspired by Paulo Coelho de Souza stories, Rage in Peace wants to give meaning to death in a “rage game” where players meet their maker every few seconds. It’s an upbeat, comical game with warm humor and bright colors brought to life by more than 10 independent Indonesian bands, as both Toge and Rolling Glory Jam showcase the best of Indonesian entertainment culture.